Since Uber’s founding in 2009, the ride-hailing service has relied on tens of thousands of drivers that it considers to be independent contractors. Although this policy has been controversial from the start, executives claim it is a vital component of the company’s historic growth rate. After all, the money that Uber saves from paying employment benefits allows it to charge lower fares. That explanation simply isn’t good enough for many critics, however, who claim the company is depriving drivers of essential employment rights. And if a recent court ruling in the U.K. is any indication, Uber’s opponents may be gaining the upper hand in this fight. Last year a pair of drivers sued the company on the grounds that they should be considered workers rather than just independent contractors. They cited Uber’s tight control of working conditions as evidence that the company treated them like traditional staff, only without any of the benefits. The court decided in favor of the plaintiffs, with Uber immediately appealing the ruling. That appeal case wrapped up last week with the same results as the first time: under U.K. law Uber will be required to treat their drivers like workers, not self-employed contractors. Should Uber classify its drivers as employees rather than independent contractors? 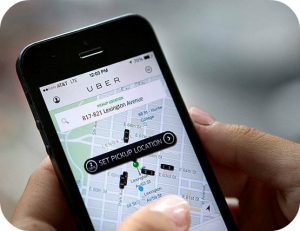 How do you think Uber could change as a company if it is no longer allowed to designate its drivers as self-employed? Source: Akshat Rathi, “A UK Court Has Upheld the Ruling That Uber Drivers Have Workers’ Rights—and Deserve Benefits,” Quartz, November 10, 2017; Rob Davies, “Uber Loses Appeal in UK Employment Rights Case,” The Guardian, November 10, 2017. Photo by Sandeepnewstyle.